Labour has suspended former whip Fiona Onasanya and said she should resign as an MP after she was convicted of lying to police to avoid a speeding charge. The 35-year-old solicitor, who now faces a possible jail sentence, was accused of colluding with her brother Festus after her car was clocked going 41mph in a 30mph zone in the village of Thorney near Peterborough. The Old Bailey heard evidence the MP for Peterborough was texting as well as speeding on the evening of Monday July 24 last year, during the summer Commons recess. Prosecutor David Jeremy QC told the jury she went on to lie "persistently and deliberately" to avoid prosecution. Festus Onasanya, 34, from Cambridge, had pleaded guilty to three counts of perverting the course of justice over speeding, including over the incident in July. But his sister, who was elected in June 2017, denied a single count of perverting the course of justice. She was found guilty following a retrial at the Old Bailey, putting her political career in jeopardy. The trial had heard how as the registered keeper of the Nissan Micra, Onasanya was sent a Notice of Intended Prosecution (NIP) to fill out and return. It was sent back naming Aleks Antipow, an acquaintance of her brother Festus, who was away visiting his parents in Russia. Authorities repeatedly tried to contact Onasanya at her home and in Westminster when they were unable to track down Mr Antipow at a false address. When the Cambridgeshire Police camera unit asked Onasanya to provide correct information, she replied: "I have supplied the details made known to me as well as the licence information... I have provided a completed nomination previously." In a phone call on November 2 last year, she told an investigator that she "stands by her nomination", jurors heard. She had been caught speeding earlier last year and on that occasion filled out a NIP correctly and completed a speed awareness course to avoid three points. A day after the first trial began at the Old Bailey, Onasanya's former communications manager came forward to place her at his house in Thorney on the evening of July 24. Christian DeFeo told jurors he never imagined in his "darkest dreams" that he would give evidence against the woman who he helped to election victory last June. 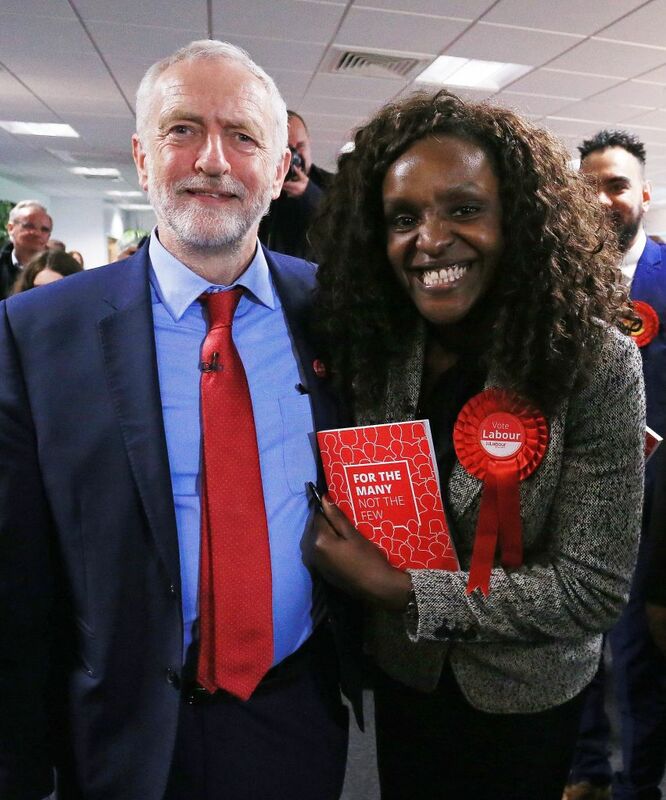 Labour MP Fiona Onasanya with Labour leader Jeremy Corbyn in May 2017. Jurors were also told that Onasanya had texted a landscape gardener minutes after the car was clocked speeding. Giving evidence, Onasanya denied lying to police for the sake of three points on her licence. She described her first weeks as an MP as like being chucked into the ocean and being expected to swim. She stayed in London for four days a week, working from a corridor in Westminster and being deluged by thousands of emails. When she received the NIP, she left it at her mother Paulina Scott's Cambridge home for whoever had borrowed her car to complete, assuming she had been in London, she said. She did not recall visiting the DeFeo house on July 24 but could not rule out being behind the wheel. While being pursued over the NIP, Onasanya was admitted to hospital for three days last September, having suffered a relapse of multiple sclerosis. The episode confirmed the devastating diagnosis, she said: "I was told I had a relapse and they had found more lesions on my brain. "I probably was not in the best head space. I've just been told I had got an incurable degenerative disease. I think that would preoccupy anyone." During the trial, Labour chief whip Nicholas Brown lent his support to his colleague, describing her as "honest, trustworthy and reliable". The Onasanya siblings face possible jail time when they are sentenced at the Old Bailey by Judge Nicholas Hilliard QC on a later date. Onasanya defeated the Conservative incumbent Stewart Jackson at the 2017 election, just six weeks before the speeding offence took place.